Spend extra time working on your foundation! 3) Offers a completely new product/service/value that the market deems better than competitors’ offerings. The new business venture already had its plan of attack to the marketplace (better product, cheaper price); in other words, it had a blueprint. 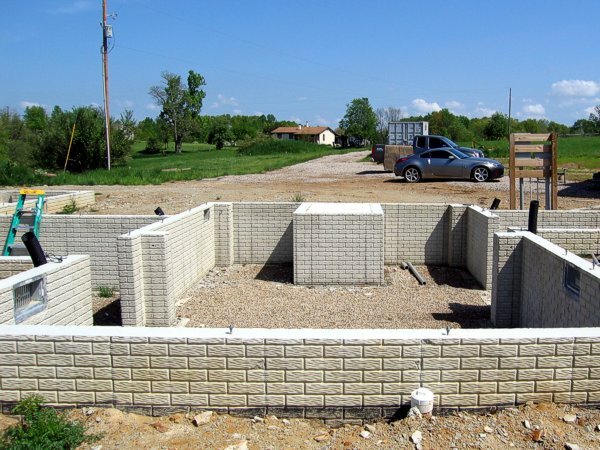 However, to actually implement the business idea, the venture required a solid foundation—exactly like building a house requires both a solid blueprint (plans) and a solid foundation. Imagine living in a house with a faulty foundation—if/when it fails, everything else you’re trying to accomplish goes with it. So whether you currently have a small business or you have dreams of one day opening your own business, remember to spend ample time creating a blueprint for how you plan to attack your target market, while spending even more time creating a sturdy foundation that you can build on. How do you build a solid foundation? I like to start with thinking about every single step of sales process. I call it, “What happens when…….” What happens when a prospect calls and asks about our services/product/to schedule an appointment? What happens when the prospect decides he or she decides to purchase something from us? Write down exactly how you want every single repeatable item to be executed and file each process in a folder so you can train and manage your staff.